As the name implies, “high-low” skirts are short in front and longer at the back. The variation in length between the front and back is either subtle or extreme. The overall length of the skirt varies too, ranging from mini to maxi. Some styles are dressy, while others are more relaxed. Some styles reveal your knees and as much as half of the thigh, while others expose nothing more than a little ankle and shin. I like these skirts! I still prefer the look of a knee covering full skirt with symmetrical hemline for my own style, but there are many pros for these high-low darlings. They make a nice change to the multitudes of form fitting pencil skirts that have dominated shopfloors for countless seasons. They are breezy deluxe. Throw on a relaxed version with an airy, somewhat fitted top, a pair of sandals, straw hat and canvas tote, and you are comfortably and stylishly set for a very hot day. They make a great bathing costume cover-up. I am not a fan of casual maxi skirts, but the raised front that reveals the ankles and part of the lower leg on the longer styles makes all the difference to my eye. The effect is more like a midi with a dipped back, which I find infinitely more flattering than a casual maxi skirt with a symmetrical hemline. The raised front also makes it easier to stride, although you’ll have to be careful walking up and down stairs. They give off a playful and arty vibe. They provide more back coverage than mini skirts despite the high hemline in front. That means you’ll sit on the excess fabric of the skirt when seated, which can be a practical solution for public transport and the like. With the right top, you could successfully sport the volume on volume trend. They are quite striking in motion. 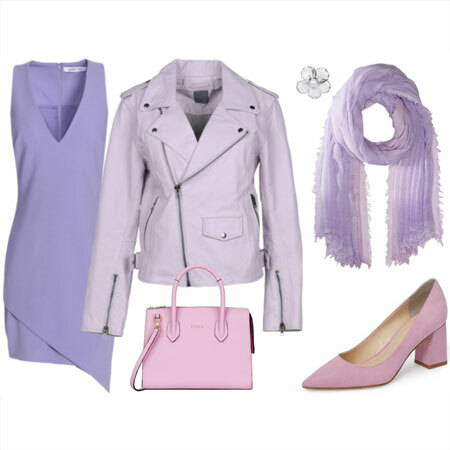 You have the option of choosing a style that is knee-covering if you’re shy about showing your knees. Or, you can go short to show off your gams. Does the hi-low skirt tickle your fancy? Hehe. People used to call them “mullet skirts” when they were being worn on the red carpet a year or two ago. The casual versions are so much nicer! Not sure this would work on my petite frame and heavy legs but I love the look on others! Like you said Angie, breezy and playful! I love any kind of asymmetrical or irregular skirt. But as a 40 Plusser whose knees have seen their best days, I don’t want to frame and highlight them. So any skirt I will buy in this style will need to cover the knees! I like them and I’d love to find a nice one that covers my knees. The only thing that bothers me with some of these skirts is that you can sometimes see the lighter (plain) back of the fabric. I actually was looking at a moderate version of this skirt last week – I’ll say it was a midi with a slightly uneven hem – and I’m considering purchasing it because I think it will be very versatile for summer. This is a big trend here! I’m not sure.. I’m at SYC until June and my fear is that this trend will pass fast and I do not want to buy a skirt to use only a few months..
Astrid makes a good point: I also don’t like when the inside of the skirt is visible especially when fabric is noticeably different on inside or the seams are not very neat. Bur aside from this it can be a fun summer skirt. I think I like the ones covering the knees better -they look more elegant to my eye. This will take some getting used to for me. Absolutely out of my comfort zone. To me it looks sloppy. It looks like someone didn’t adjust the skirt properly at the waist, or is pregnant hence the frontal fabric lift, is exhibitionist or couldn’t make up their mind as to wear short or long on that particular day! But who knows. I might go try it for myself and fall in love. This has happened before with other looks. Thanks for posting this and binging it to our attention. It would have to be enough of a hem difference to look intentional and not as though I might be pregnant or carry all my weight in my belly, causing the skirt to rise up. Hmmm – my eyes aren’t adjusted to it yet, and I fear the trend may be over before I get around to it! 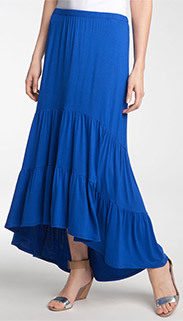 But I do like the blue knit maxi; I’d wear it for summer casual events. I don’t mind a slight high-low (like the one on top middle) but the extreme high/low of mini in the front and maxi in the back just looks goofy to me. I’ll probably skip this trend in favor of form fitting pencil skirts. I have a skirt like this–black with white dots. The front is only about 3″ shorter than the back (mid-knee in the front), so the effect is just a sort of extra-flippy hemline. I like it a lot. I have had handkerchief hemlines in the past, with more exaggerated differences in length, and I find them irritating to wear and difficult to pair with tops. I quite like them, especially in a casual variety. They used to be popular 7-8 years ago and I used to have a couple of them, but I have gotten rid of them since. I believe I have a black jersey one left, but it also has a high slit on one side which makes it more of a going out skirt. I tend to use it as a dance skirt for social dancing, tough I haven’t used it in a while. Now here is an idea for teh next dance social! I like the idea in general, but agree with Vildy about there having to be enough of a hem difference to make it look intentional. My misgivings about trying a skirt like this is that it would be impossible to wear a slip underneath it. I’m also not sure this style would actually be the best look for me. I think I’ll do like Cynthia and stick to my pencil skirts. I saw one at a store window as I was driving by the other day and thought that this really doesn’t tickle my fancy. Something about it makes me think the person somehow had part of their skirt tucked in by mistake. Add to that the extra volume which is hard for me to carry off well. The Aesop skirt in your pictures looks better to my eye than the rest. I’m not sure I like it, but it could grow on me. I don’t mind the first one you posted. I don’t really like to show my legs, so we’ll see if I jump on this trend or not. Long, almost maxi, knee covered by far, in a high end material like silk or linen blend, then it could work for me. Flat arty sandals. But the look has to be very intentional otherwise no for an over-50 tall person. Could be work attire on those very hot summer days. Rather like the look of this. Not sure it’s for me right now, especially in the more extreme versions (with a big difference between front and back) but am looking forward to enjoying it on others. I LOVE this look. In fact, my wedding dress (from 9 years ago — I designed it with help from a seamstress/costume designer) sported a hem that was just below knee length in front and draped down to a small train in the back. I have been looking for just the right skirt for me and haven’t found it yet. I don’t love my knees either, so I’m being very picky about the length. The first one pictured above looks promising! Very fun! I have a sewing friend who made a shirt dress with a skirt like this. I seriously covet it! The others are right though, if the interior fabric isn’t pretty or the seams are sloppy, that will ruin the effect. I like this style when it is not too dramatic a difference in length such as the first one. This looks fresh and playful, which is perfect for warmer months. When the style is very exaggerated such as the bottom one on the right, it looks like you forgot half the skirt. That’s just too much difference for me. Like Janet, my wedding dress too had a similar hemline, except 19 yrs ago. My poor knees have seen better days, and this time around I’m not so fond of the varying hemline. I think I’ll appreciate it from afar. 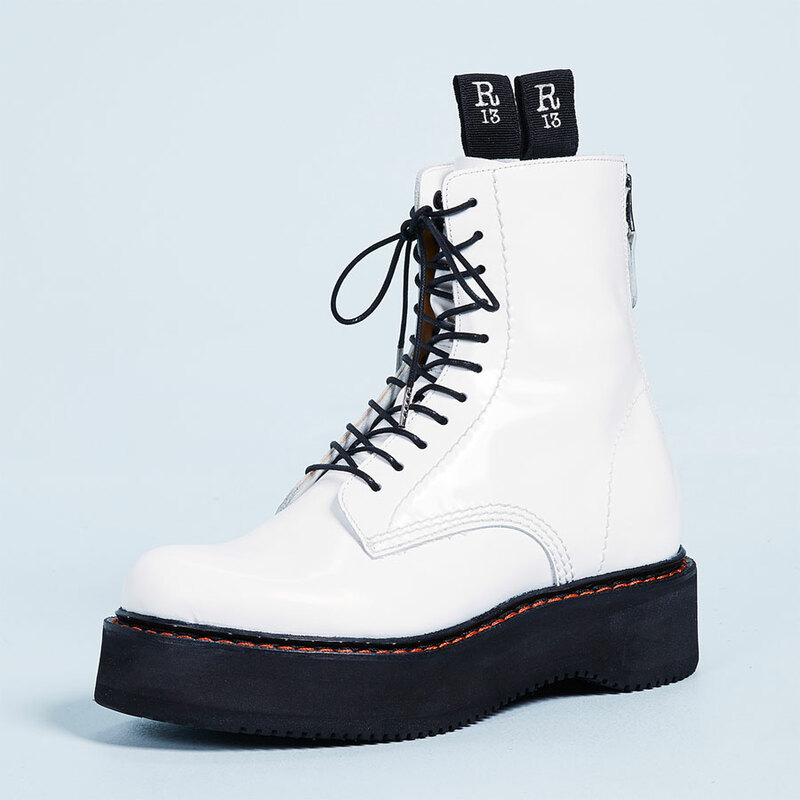 I think they’re pretty and can work on others, but I don’t see me wearing them anytime soon. Being short, I’m not sure it would be flattering and as an apple with tummy and hips, I think the shorter front would just accentuate all of that. Nope, I will leave this trend for others to enjoy. I think I’d end up twisting these skirts around so that the lowest point was off-center or to the side. Then I’d be fine with them! Love these, particularly the blue one with the tiered hem. What a great solution to the problem of walking in one to the floor. Very fun option! Considering for myself this spring. I do like this style better than maxi length. even though I appreciate a boho flair, maxi skirts seem costume-y (or look like nightgowns) in my eye. I could see this working. The black and white print dress is my favorite of the looks you show. Really enjoying your thoughts on this style. Astrid, Sveta and Amy, good point. The integrity of the fabric will be key to preventing the lighter inside of the fabric from showing through to the front. Ruth, you could leave off the slip if the fabric was substantial and opaque or non-see through. I have one! I didn’t enjoy it that much in the winter when i had to cover up with thick black tights because it obviously lost it’s dramatic effect but i’m excited to bust it out for spring now that it’s warming up! I could potentially go for this in a casual version in summer, but I really like Sarah’s idea of twisting it around! And I agree absolutely with Astrid; I don’t like the versions where you see the unprinted side of the fabric from the inside. The seams would also have to be nicely sewn for me to embrace this look. I feel like the high/low skirt will be one of those trendy styles that will come and go pretty fast. Like we’ll look back in 20 years and say “why were we wearing that?” That said, I like the first 3 pics with a subtler form of the high/low and think they’re very flattering on the models. I love em on my tall sisters but this shortie will be sitting this one out! I like these skirts as well! I agree that they give off an arty vibe. I saw several for sale in the anthropologie catalog. Perhaps I’ll give this look a go! I saw quite a few of these at the Flea Market this weekend, and I thought they were cute. Maxi’s tend to drown your body, but when your knees show in the front it gives a whole different look. I would be willing to give one a try- and I usually don’t like asymmetrical things! Sitting this one out I believe. 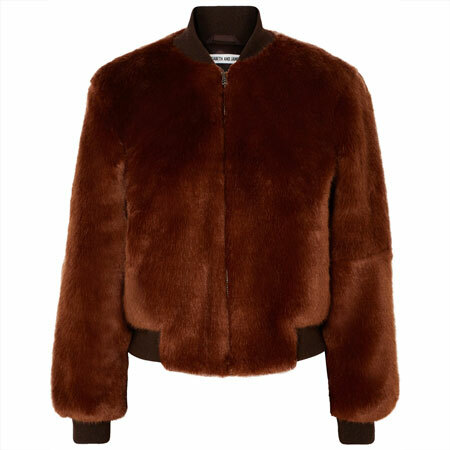 There were quite a few of these in micro mini versions at Topshop if I recall. I get very anxious about asymmetry in my clothing and as Sylvia pointed out I am not anxious to highlight my 40+ knobby pasty knees. 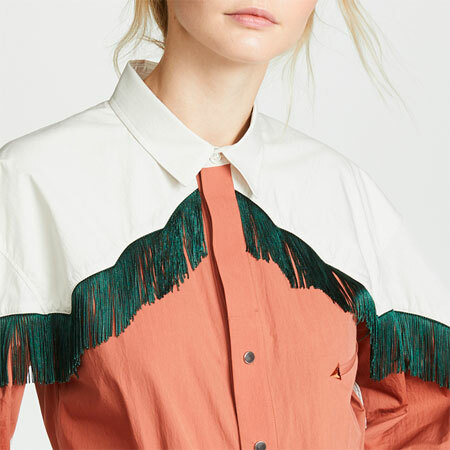 Maybe something gauzy in a beach coverup, but not for the office or this MOTG. Will gladly enjoy watching those that do want to give it a go. I found this jersey version that’s like the Stem skirt, except it covers the knees. I just ordered it in charcoal. I really like this look in a dramatic almost goth/steampunk kinda vibe. The costume I made for a themed weekend had this going on but only because I cut out the bodice from a really large full skirt! I filled in the gap with black spider-web lace. I really enjoyed wearing it & got loads of compliments! I have been meaning to ask you about these as I saw them in lots of shops this Aussie summer. My feeling is that over here, this is a teenage look. I haven’t seen anyone overy about 22 wearing them and they look like a fad to me! So far the type you are showing do not appeal to me, although a handkerchief hemline does. I’ll have to give these a chance as I’ve never actually had one on. I like the idea in general, and agree 100% with your maxi skirt remark. However, the examples show there are many different options and many different back to front length proportions. Fabric and pattern play a big role too. For me this is one of those cases where I can’t say “yes, love the trend/nope don’t like it”, but am more likely to look at individual items and then decide if it’s for me or not. E.g. I like the black skirt at the top, and the B&W printed asymmetric skirt from Zara. One of my favourite dresses I have ever seen was produced by CK; it was woven, white and strapless, the front of the dress hit at the knee whilst the back grazed the ankles. It looked like a modern interpretation of a tuxedo for a lady. So it comes as a great surprise to me that I dislike these skirts, they look a little unfinished to my eye. I think I’m going to have to agree with Jilly here; these skirts have the markings of a trendy style that could quickly become dated. I can envision a young girl wearing one of these on a warm day and looking cute and breezy, but I’m not sure how much staying power these skirts will have. I like them, as long as the front part is long enough to be decent! 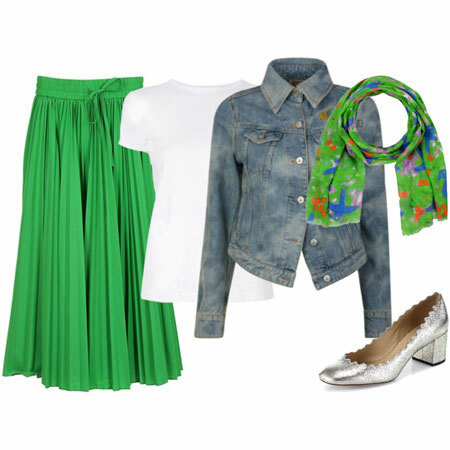 I can certainly see this look trending on the beaches of Southern California and I do like the look and chose this skirt style as one of my “picks” in a recent YLF Competition. I do think proportions are important and my favorite is the black skirt at the very top of the page. LOVE this, but I prefer on dresses, and with less of a dramatic low. I just don’t like it when anything flaps about my ankles, I guess. 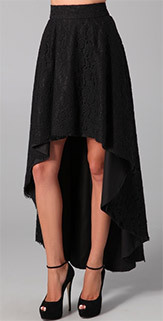 I love a mini-knee or mini-midi dip, though! I have one dress that does this, and I’m looking for another for hot weather. I absolutely hate this trend – I don’t like people seeing the inside of my skirt at the back. I don’t like the extreme versions either, but if it’s too subtle they just look poorly made to me (unintended uneven hem). 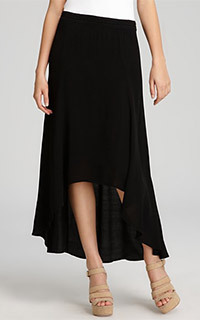 I have a floaty assymmetrical hemmed skirt that is fun to wear, but it isn’t a mullet version. And now that everyone’s mentioned it, why aren’t there more with an interesting lining? Since I have a flat booty, skirts tend to dip in the back on me without trying, plus I think these hemlines emphasize bow legs. A couple of those hemlines would happen naturally on a woman with a flat booty + post-baby tummy, i.e. look like it wasn’t intentional. This will be another trend I will sit out. I much prefer the look of high-low tops. Oh, I LOVE the idea of a contrasting lining. Is anyone actually making a skirt like that? I would buy one immediately. Funny, I have a black skirt that is a more moderate version of this style (similar to the chevron print one shown), but it’s a few years old and from a very untrendy source. Giving this some more thought, my dislike of the skirt version boils down to the issue which Angie blogged about yesterday, horizontal lines. The dress version of this look (such as the Karen Kane handkerchief dress which I love) creates a column of colour which minimises the effect of all those horizontal lines. After this A’HA moment, I now see how I could wear a skirt of this nature if I created a column of colour with a tonal top. I like them, but I definitely prefer lower contrast ones, meaning ones with less difference in length. I like jersey because it can sport a raw edge or very simple hem and is usually opaque. I do, though, have a nice stretch wool gab one from a few years ago from BCBG that has a very simple bound hem and looks quite cute with boots. There isn’t enough contrast in length to put the whole architecture of the internal seams on display, which is key for me for this look. I like them because they’re different. I’m trying to think if I’ve got one or not already. Will say, though, I’m not sure if they actually look good. Some of them look like cutting mistakes to me, or like a big hole. Others, they seem too full because of the way you can look in and under the skirt. Inge and Vicki, I like the black skirt at the top best too. Interesting “turn” for this style, Sarah and Suz. Knee-shy lasses, remember that you can choose a knee-covering option. I am seeing a lot of this on the streets of Honolulu. A popular look is a (completely transparent) lace high-low skirt over leggings worn with high platforms. I did a double take the first time I saw it! This is a great place for people watching, as there are tourists from all over the world. I love looking at the young Japanese girls’ outfits. I only like this effect on fluttery mini skirts for the practical reasons you described. On longer skirts it just doesn’t make sense to me. I think it’s visual noise to me. Just my personal reaction. I can see this looking lovely on others, but personally I can’t see myself in this style except on a beach vacation, for its breeziness and fun/flirty factor. Looking at the pics above I do not like the subtle versions (what’s the point? and it might indeed come off as unintentioal); I do enjoy the trendy versions with a dramatic differences in the bottom row, but expect this to be a very short-lived trend and not one that grabs me personally. Not a fan. I do like the look of the first black one, and of course, it looks terrific on the model in that photo. I just can’t see myself in this. Can’t rule it out completely, but I’d have to see how it would look on me (as opposed to that leggy model) and how it would fit into my overall wardrobe (if it would). I have seen this trend executed as a dress and love it like that the most! I’ve been on the lookout. If it’s on the loose side it might be a perfect hot summer dress. Hmmm… do I really want to walk around looking like I accidentally got part of my skirt stuck in my underwears? I guess now. I’ll pass on this one! I’m sure I won’t be wearing a skirt like this. It looks like one of those things that a person would not want to wear more than a couple of times because it is so memorable. I was just given a hand-me-down dress today and the hemline does this effect when I put it on . I’m glad I’ll look fashion-forward in it, lol. It would be something I would like to try, but if the difference between front and back is too much it really seems contrived, but if the difference is not enough then it just looks like shoddy hem work. So buying one would hinge on a short/long difference that looked “just right”. I just made one. I love them! I was just looking at these online this weekend and trying to decide if I could pull the look off. I like a dramatic enough difference between the front and back to make it intentional and obvious, but I also prefer the switch to be gradual. In other words, I like the skirts with the shorter part of the hem gradually widening to the longer length, as opposed to the steeper, narrower openings. That makes a big difference to my eye. Gosh! Very neat style – I’ll leave the real short fronts to the younger ladies and I’ll take the longer, but still graduated hem for myself! Love the look and they have such nice movement in a great fabric. I tried a high/low skirt on today at Nordstrom. A black accordion pleat in a sheer fabric from Pelione. It was actually very flowy and I decided the style could work for many occasions (maybe not the office unless your office is super creative). I might have bought it but didn’t see any tops that looked right. They do have a few styles in store now if anyone wants to try one on. I already bought one for spring- a silk floral print beauty! The hem is hardly extreme, though. It’s more like the orange skirt above. Now, I’m on the hunt for the perfect shoes to pair with it. I’m a handbag gal through and through, so I always struggle with footwear. I have a skirt like this, and it does not feel trendy or young, at least I hope it does not come off that way. It is dark with small white dots. I keep the styling very simple and think it is an elegant look…my interpretation is not beachy. Finally, a trend that could be successfully rocked by a petite. YES! I don’t wear skirts, but if I were going to these would be a good choice (the front of my legs look okay but I have more cellulite on the back, hee hee! Odd…definitely odd. This is the kind of fashion that dies after a single season, leaving you to wonder why you wasted your money. I loved it on celebrities and models with a more formal and dressier version. I am not with this casual look as this would look bad on my petite frame. I have one of these in a very ‘suit-able’, soft, grey pinstripe — the fabric makes it quite a bit dressier than these examples, I think, and it is intended as part of an office capsule. But like Sarah and Suz and Sunita discussed, this one is high-low from side to side. Is that an outdated style, then? My skirt is a couple of years old. Also, going by all the examples here, this seems to be a more casual style. Is this trend inappropriate for work or eveningwear? I really do not like this. My eye might get used to it but for now it’s just strange looking. Looking forward to seeing others in it to change my mind! I rather like this look when the front part of the skirt is at or covers the knees (the skirts where the front hem goes above knee level looks a little to exaggerated to me.) I’m not sure I would get much use out of one, but I’ve given a couple of less-exaggerated asymmetrical hemmed midi skirts a second glance, so we’ll see. I have bigger thighs and knees (which I hate), and found the cutest High Low strapless dress, the asymetrical high low hemline was very gradual. I bought it without trying it on, because I was in a hurry. The front was above my knees and did not look cute at all. I turned it to the side, to where the hemline was diagnal from one thigh down to almost my ankle, again very gradual, and it looked very cute. The top part of the dress was the same all the way around, so you could not tell which was front or back, etc. Has anyone else seen someone wearing a high low dress or skirt this way? Thoughts?